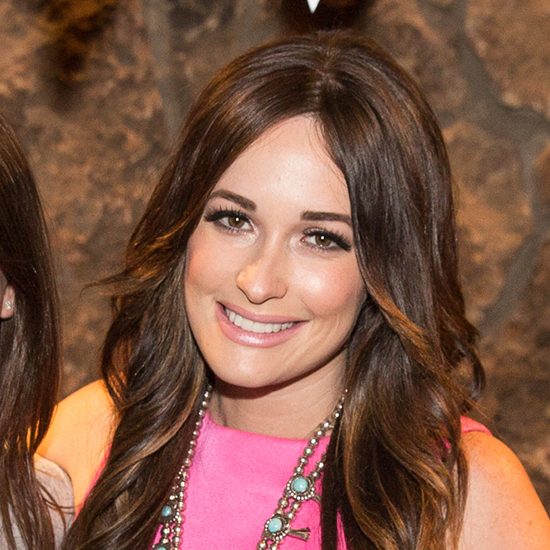 When she’s on tour, country music star Kacey Musgraves does her best to steer clear of gluten. But sometimes the 26-year-old Grammy-winning artist can’t resist a good biscuit. F&W caught up with Musgraves in between tour stops when she co-hosted Last Call Y’all, the brunch-themed after party at the Food & Wine Classic in Aspen over the weekend. Today she’s releasing her second album, Pageant Material, which includes a track called Biscuits. The song's hook, "Mind your own biscuits and life will be gravy" might just be our new mantra. We chatted with Musgraves about her affinity for those flaky baked goods, her collaboration with Zodiac vodka and eating pho in Nashville. You had your own biscuit bar at our party in Aspen and you have a song called Biscuits. Is there an intervention coming? At my sister’s wedding back in October she had a breakfast bar at her reception, with mimosas and waffles and things like that. It was very, very good. She had a pepper buttermilk biscuit and pepper bacon that went with it and it was like heaven on earth. The best thing I’ve ever eaten in my life. I love biscuits with a little honey too. You could put a piece of paper in between a biscuit and it would be good I’m sure. It’s hard to find gluten free biscuits. I won’t fall on the floor dead if I eat gluten, but it just doesn’t really sit well with me, so I try to avoid it. What are a few of your favorite food indulgences? I love a good steak. I’m from Texas, hello. I love pasta and pizza, which can be hard to find gluten free. I love a good cheeseburger. I had one yesterday. When I won my first talent show when I was 8 or 9, and they gave me a $50 cash prize. It was a little local talent show. My mom told me that as soon as I won and got the money I was like ‘See, now I can buy my own steak.’ Because every eight-year-old just wants to buy her own steak, right? Do you cook when you’re home in Nashville? I don’t get to cook as much as I’d like to on the road. But whenever I’m home, I like to experiment. My new obsession is roasted brussel sprouts. Oh my God! With olive oil, black pepper, a little parmesan. Get them really crispy, caramelize them a little. I’m kind of obsessed. My boyfriend was like 'Really? Brussel sprouts again?’ Yup. Sorry. What do you love most about the Nashville food scene? For a Southern city it’s pretty culturally diverse. There’s Indian food, Ethiopian, Vietnamese. We love Pho and we’re always eating that. I really like Miss Saigon for Pho in Nashville. And there’s another spot called VN Pho. They also have this spring roll, it’s a fresh roll, you know? And inside it is a really crispy fried piece of pork—it’s terrible for you. With loads of Sriracha all over it, of course. I’ll put on Sriracha on anything. I like anything spicy. Anything that’s bringing the heat. I love Indian food. I also love sushi. We ate at Matsuhisa in Aspen last week: Yellowtail with serrano chiles on it, I could eat 700 of those. No problem! You're an ambassador for Zodiac vodka, do you have a go-to cocktail? My favorite is the black cherry flavored vodka. It’s really good with soda and lime. It tastes like a cherry limeade. The other day someone made a cocktail with Zodiac, cantaloupe juice, black pepper and dill. It was so good. I never saw myself as being part of any vodka company or brand, but it’s a Texas company, it’s all natural, gluten free, non-GMO. Those are all things that are important to me and I just thought ‘I’m on board.’ It’s been a fun side project. Musgraves is currently on tour if you want to hear Biscuits live.